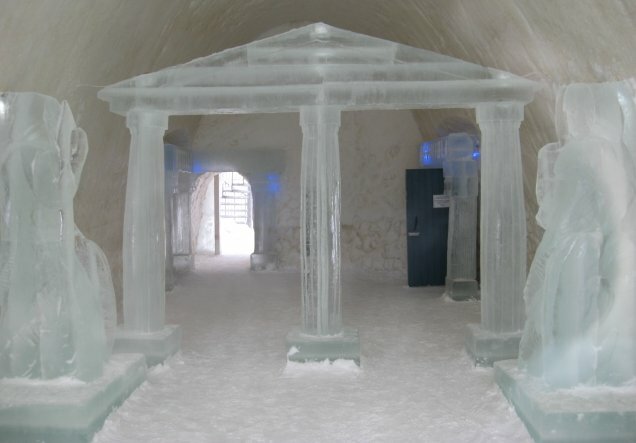 Last year’s discovery of a tomb beneath the restored Church of St. Nicholas in Demre, Turkey, may yet produce the body of St. Nick himself, and settle whether Santa is buried in Turkey, or in Ireland (which claims it), or in Italy, where Venice and Bari both claim his body,(or maybe just parts thereof). But this of course ignores the well-attested fact that St. Nick lives in Korvatunturi, a fell in Finnish Lapland. Home to roaming herds of reindeer and often blanketed in snow, the Korvatunturi fell is believed by many Finns to be the site of Santa’s secret workshop. Although Korvatunturi was only disclosed as the workshop’s location in 1927 (it was revealed on air by radio host Markus Rautio), Finland’s Santa Claus tradition is much older. Before Christianity came to Finland in the Middle Ages, Finns celebrated Yule, a pagan mid-winter festival marked by an elaborate feast. On St Knut’s Day (13 January), the day many Nordic countries mark the end of the holiday season, nuuttipukki – men dressed in fur jackets, birch bark masks and horns – would go door to door to demand gifts and scrounge for leftover food. The nuuttipukki were evil spirits; if they didn’t get what they wanted, they would make loud noises and scare children. When the charitable St Nicholas became known in Finland during the 1800s, his image blended with the pre-existing tradition of the masked nuuttipukki to create Joulupukki. Translating to ‘Yule Goat’, Joulupukki handed out gifts instead of demanding them. Unlike Santa Claus who climbs down the chimney, Joulupukki, clad in red robes, would knock on the door and ask “Onko täällä kilttejä lapsia?” (“Are there any well-behaved children here?”). After delivering his gifts, Joulupukki would return to Korvatunturi fell; directly translating to ‘Ear fell’, Korvatunturi is the place Finns believe Joulupukki can hear everything. And if you don’t believe Markus Rautio, will you believe the United Nations? In November 2017, Finland’s Ministry of Education and Culture approved Joulupukki (or Finnish Santa Claus tradition, as it is known today) to be included in the National Inventory of Living Heritage, a list that is upheld by the National Board of Antiquities as a part of the Unesco Convention for the Safeguarding of the Intangible Cultural Heritage. Unesco has ruled! The Yule Goat lives in Finland! Elsewhere in the Northland, an amateur archaeologist and his 13-year-old assistant has found a Viking treasure hoard in Denmark. This may be the personal treasure of Harald Bluetooth, the 9th Century ruler who united Denmark and was the first Scandinavian king to convert to Christianity. Harald was overthrown by his son, Sven Forkbeard, and may have had to leave the royal treasury behind and scarper off to Pomerania, where he died and subsequently gave his name to Bluetooth wireless gadgets. 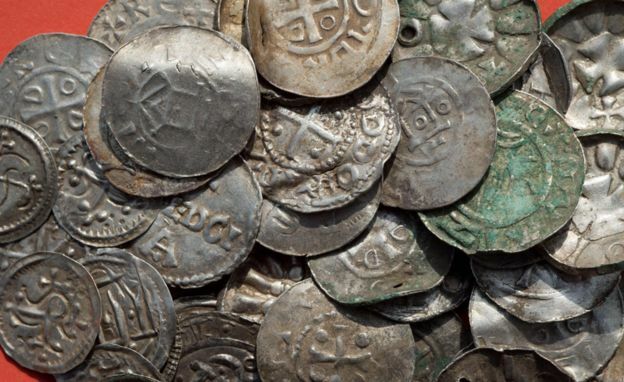 The dates are right for Harald, but even if it isn’t Harald’s hoard, it’s got a kingly sum of over 600 silver coins, along with chains, rings, and a Thor’s hammer. So clearly the Baltic region is where you need to go for treasure! Either you can dig it up, or you can get the Yule Goat to give it to you. It’s all up to you. I admire you no end, but Rugen, the island where the hoard was found, is actually in Germany these days. Still in the Baltic, though, so props for that. Clearly I have been misled by lying news media. Have you seen “Rare Exports”? An industrialist on the Russian side of Korvatunturi digs up an Evil Santa, and all hell breaks loose. Highly recommended.